High water bills? By being proactive about the way you utilize water in your home, you’ll be able to drastically reduce those high-water bills and prevent any unexpected bills in the future. It might take a little bit of discipline, but your wallet will thank you. 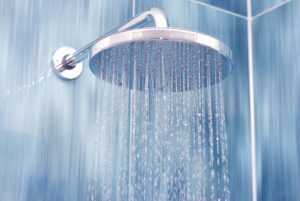 If you keep your showers under 10 minutes, making the switch from taking baths can save you an average of 30-40 gallons of water. If you’re a big bath fan or have children, this doesn’t mean you have to give up baths altogether – try saving them for special occasions instead! To save even more water, utilize the shower at your gym or pool! Washing your car uses an abundance of water and by taking advantage of car washes (full-service and self-serve) will save you money on your water bill each month. The cost of washing your car at a car wash will outweigh the cost of washing it at home. The other plus? The water at car washes is recycled, making it more environmentally friendly! Upgrading your plumbing fixtures and fixing any leaks will cost you more money up front but will save you money in the long run. Fixing small leaks when you first notice them will help avoid extensive damage and large repair bills in the future, while new fixtures will be more efficient as they are manufactured to use less water. For all of your plumbing upgrades, maintenance, and repairs, give Plumbing 911 a call today at (330) 952-1900 or (216) 246-0566.